Get exception & crash reports in real-time. Track & debug bugs in record time. 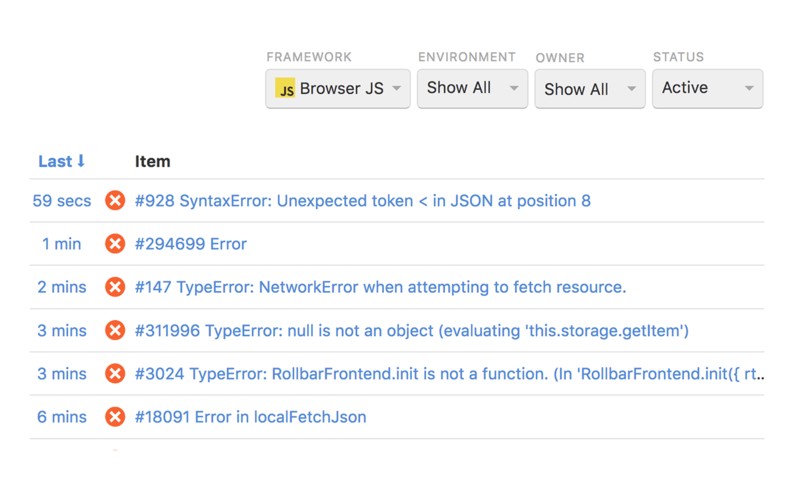 Get notified of Ember errors instantly as they occur after deployment - and before users notice. 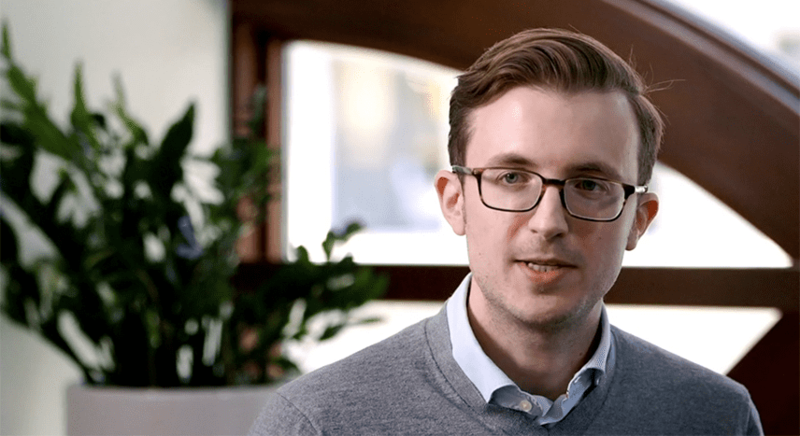 Similar errors are automatically grouped using Rollbar's fingerprinting technology to reduce noise, and all errors include detailed data to help you assess impact and assign priority. 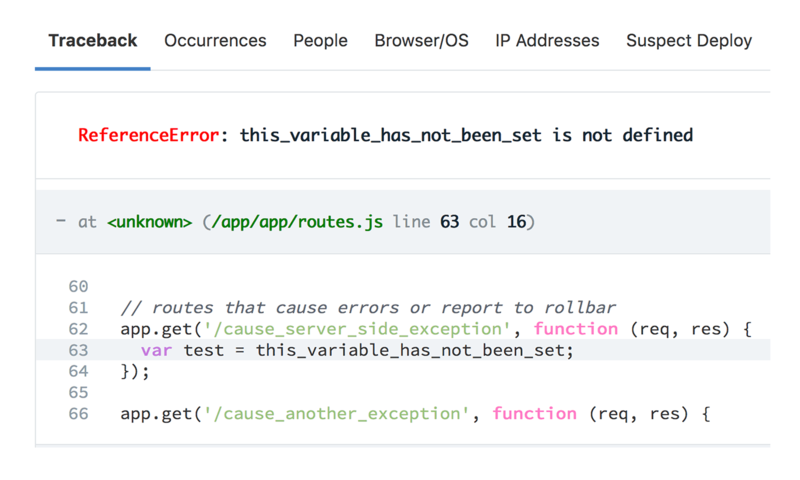 Rollbar automatically collects all the data you need to replicate and debug an error, presented in ways optimized for debugging speed. Get stack traces, request parameters, local variables, affected users and IP addresses, browsers and OSes, deployed code versions, and more. 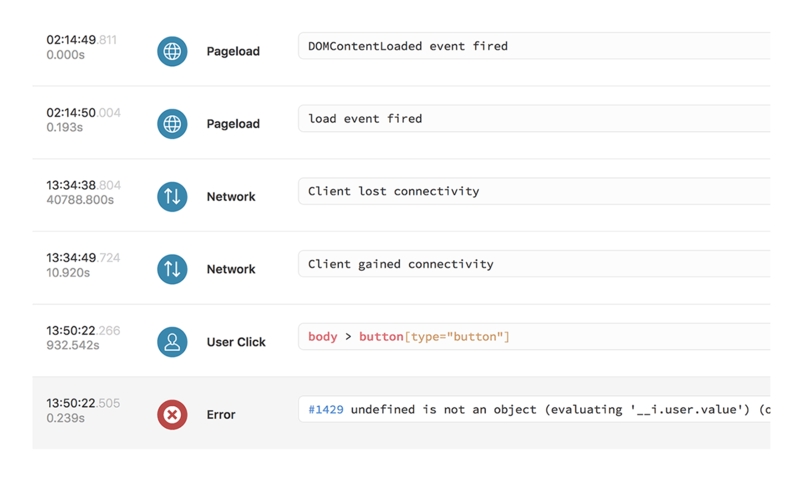 Get a timeline of browser events leading up to the error, including page loads, user actions, network activity, console logs, and more. Rollbar supports all popular languages and frameworks. Integrations with tools you're already using. Software engineers make mistakes and code isn’t perfect. Plus, we integrate with third-party systems, so anything can go wrong in the stack. Having Rollbar there gave us this immediate ability to troubleshoot things. 14-day unlimited errors free trial. 5,000 errors/month free forever. In addition to catching top-level errors, you can send caught errors or custom log messages. All of the following methods are fully-asynchronous and safe to call anywhere in your code after the script tag.